On September 3rd, 1959, the steamship Rotterdam set out on its first transatlantic voyage to New York. Many celebrated artists and architects worked on this flagship of the Holland-America Line built by the Rotterdam Dockyard Company (RDM). 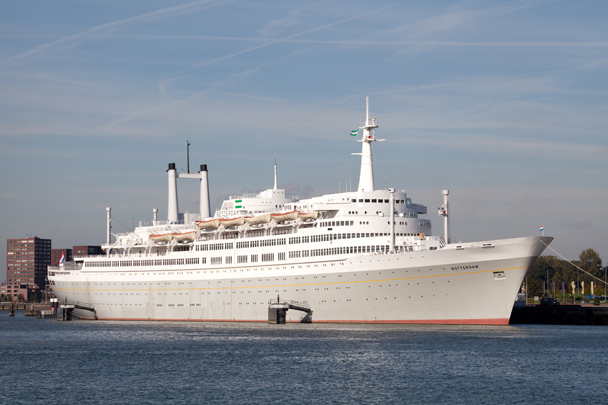 The last and largest Dutch ocean liner, it served as a pleasure cruiser between 1971 and 2000. Back in Rotterdam, the vessel now has a permanent mooring at Katendrecht. It does duty as a congress centre, hotel, restaurant and training centre for two Rotterdam institutes of higher education.